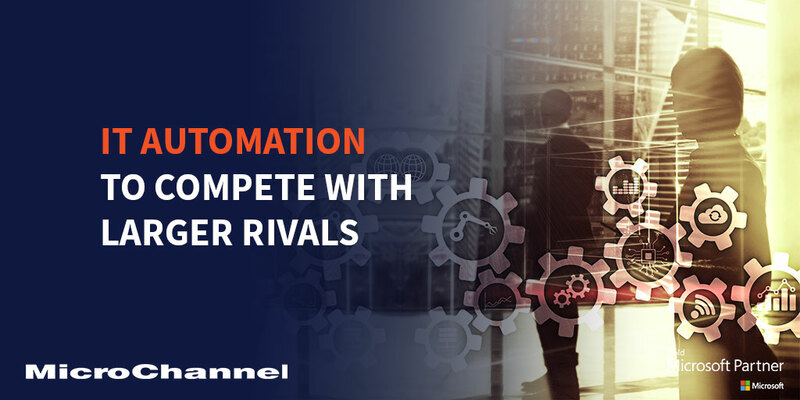 IT automation can help smaller companies to compete with larger rivals. Automation is the onset of digital revolution across sectors and industries and is quickly transforming the way companies operate, boost productivity and innovation in the fields. While potentially bearing considerable initial costs, once implemented the automation can pave the way for smaller and medium-sized companies to catch up with larger competitors. Solutions such as Microsoft Dynamics 365 is an application platform covering Financial and Operations, Sales, Retail, Customer Service, Field Service, Project Service Automation, Talent and Marketing. These functionalities will be beneficial to companies that require automation in the workflow and processes to improve efficiency and productivity. Microsoft Dynamics 365 is the next generation of intelligent business application, a cloud application that allows applications to works seamlessly together to manage specific business functions across Sales, Customer Service, Operations, Financial, Field Service, Project Service Automation, Marketing and Customer Insights. IT Automation allows businesses to engage customers and build relationships, optimise operations, empower employees and transform product & services. For more information on how IT automation can work for your business, contact us for a no obligation discussion.